would you like your software to be considered for this list? Give us your details. When you use chocolatey to install applicatons/tools, nearly all you need to do is type one line and let it finish the rest. Welcome to the future of voice communication! 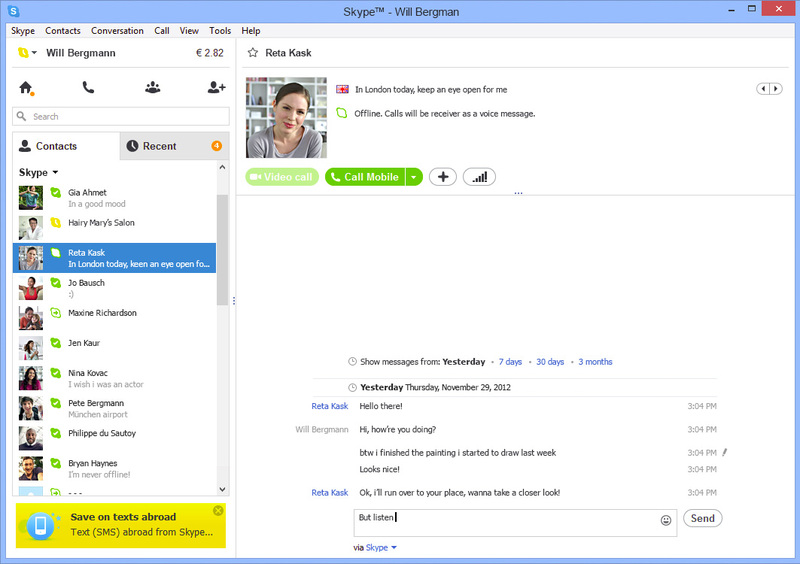 Skype is an easy to use piece of software that allows you to make phone calls over the Internet at a fraction of the cost of regular telephone calls. All you need to get up and running is a headset that plugs into your computer, and some bandwidth. You need a good screenshot utility because a picture can tell a thousand words. 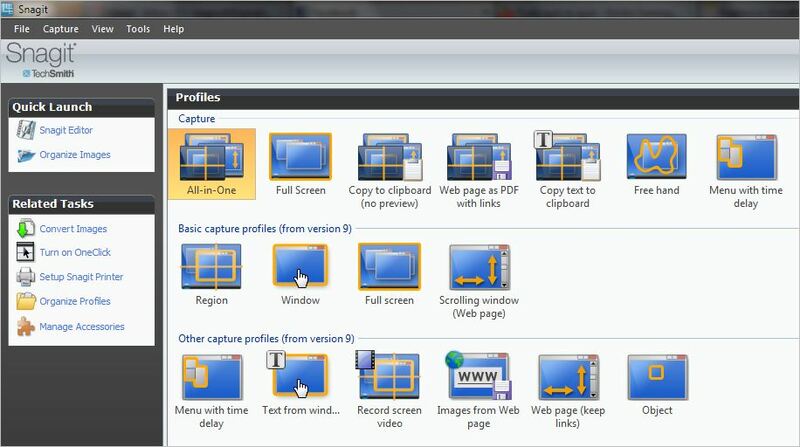 Snagit is a screenshot utility for users who needs an effortless, effective way to work with "snapshots" of Windows screens. It's perfect for images you want to include in manuals, training handouts, presentations, marketing materials, and web pages. See our rule on How To Use Balloons and configure your Snagit. I might of made it number 1, however the support for this product is unfriendly. Theres a lot of ways to make sure you have a backup, the common way is to store your files on a server, but with notebooks everywhere its is not a good option. 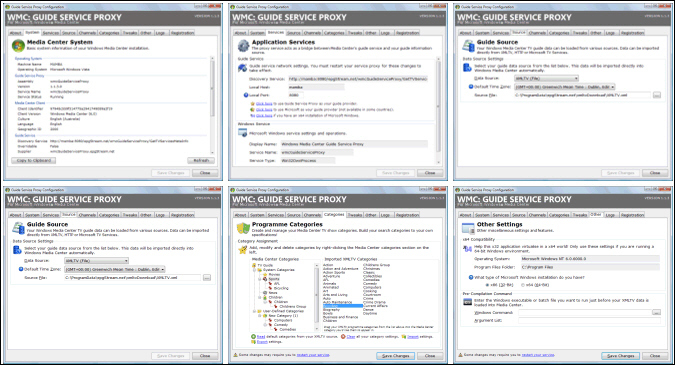 Comm Sync is a utility which you can configure to copy all the directories you want and copy it to the server. It will copy only changes and you can set it up in task scheduler and forget about it. CmdSync is the command line version of FileSync designed for batch and/or scheduled synchronisation. It is completely parameter driven and allows synchronisation in either or both directions as well as optionally including sub-folders and handling the timestamp incompatibility of different file systems. By using FolderShare together with MSN desktop search, you can even search your computer's local content remotely and download files from your computer from anywhwere. Sharing photos via Folder Share is much faster and easier then using emails. VMware Workstation is virtual machine software for technical professionals. It lets you work on multiple operating systems on a single computer. You spend less time configuring hardware, installing software, and rebooting or reconfiguring systems, and more time developing, testing, and deploying applications and delivering support. VMware Workstation gives you immediate access to the operating systems and applications you need to get your job done now. Running out of bribes to entice your computer-savvy friend to check on your PC? This utility's benchmarking, diagnostic, testing, and tune-up tools gather and report information about your system's hardware and resources. You can check components ranging from your CPU, BIOS, and PCI bus, to your printer, CD-ROM drive, and modem. A built-in wizard helps you gather the information to optimize your system. You can save, print, fax, and email system reports from within the program. PCMark2002 is a benchmarking tool used to measure generic PC performance in home and office use. PCMark2002 is unique in that it measures computer performance at a low level. As a result, the program is relatively small - only 8.8 MB to download. It also has an integrated Online ResultBrowser that instantly compares results against the world's largest database of performance data. This application can be very helpful for managers to find out how good their computers really are; e.g. when their employees complain about performance. PCMark2002 is available in a feature limited free Version. Robocopy is a powerful tool for mass data migration and server consolidations. The tool operates as a command-line and is included in the Microsoft Windows 2000 Resource Kit. Robocopy is utilized on a regular basis at SSW, running daily at lunch time (1:30pm), hence ensuring that files are secure and backed up. Another good backup program is Arctor. It is not free, but has more functions than Robocopy. Bginfo is a little sysinternals application that will create a background image with information from the computer that it is running on. This is great when you have a rack full of computers and a KVM to switch between them. You can see quickly and easily which serve you are connected to. You add a link to the computer setup folder and whenever you login a new bitmap will be generated with updated information and taking into account your resolution. This means that you can display info like available hard disk and uptime and it will always be up to date. Beyond Compare is a powerful time-saving utility for comparing files and folders on your Windows system. Beyond Compare does both FTP and Folder Synchronization. The UI for comparison is the same for both FTP and File-based modes. We can use Windows Update to download the latest patch for our operation system; but how do I keep my hardware drivers up to date? Driver Agent can help you to scan your computer and generate a driver status report for you, and if you registered, you can even download the latest driver from them. People install QuickTime to play .mov. People install Real Player to play real media files eg. rmvb, .rm. We don't actually need that, the easier way is just install the codec, and you can use 1 media player (your favorite one, usually Media Player) to play all different formats. 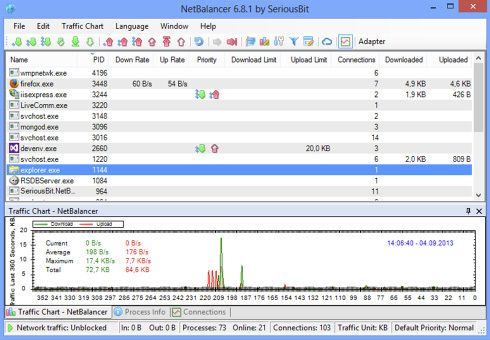 NetBalancer comes in free and paid versions, with the free version being limited to 3 process priority limits and 3 active rules. WhatsUp Gold is the world's leading network management solution with over 70,000 networks reliably managed worldwide. With four distinct product editions all based on the same scalable architecture, WhatsUp Gold delights network engineers and networking-oriented IT pros with powerful capabilities such as automated device discovery, graphical network mapping, SNMP v1-3 and WMI monitoring, and versatile alerting, notification and reporting functionality. Their software is great, the name is not great, now the URL you use to download it. Figure: Load XMLTV data into Windows Media Center! Windows Live Writer, developed by Microsoft, is a desktop blog-publishing application that is part of the Windows Live range of products. It features WYSIWYG authoring, photo-publishing and map-publishing functionality, and is currently compatible with Windows Live Spaces, SharePoint blogs, Blogger, LiveJournal, TypePad, WordPress, Telligent Community, PBlogs.gr, JournalHome, the MetaWeblog API, the Movable Type API, Blogengine, Squarespace, and all blogs that support RSD (Really Simple Discoverability). Windows Live Writer introduces the Provider Customization API that enables both rich customization of Windows Live Writer's behaviour as well as the opportunity to add new functionality to the product. Currently Windows Live Spaces, WordPress, and TypePad have all taken advantage of this API to expose additional service-specific features within Windows Live Writer. In SSW, we have our own tool to keep our system update to date by checking every executables and dlls in the system. InstallPad takes care of downloading and installing the latest versions of all your favorite apps. It is a great way to get from a fresh installed PC to something usable. Eventhough most Windows comes with its own Zipping program, Winzip is still good and allows users to span multiple disks. As per Brian Randell's recommendation, Treesize Professional can find out which folders are the largest on your drives. It shows you the size, allocated and wasted space, the number of files, 3D bar charts and pie charts, the last access date and much more information for several folders or drives you choose. 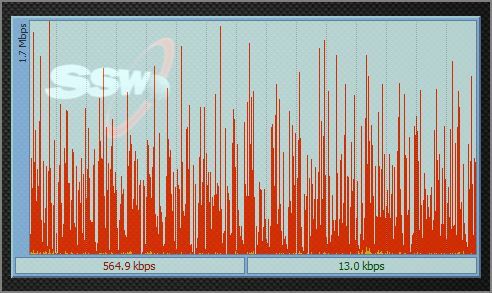 DU Meter provides an accurate account of the data which is flowing through your computer's network connection. This readout is presented in both numerical and graphical format, in real time.